Take part in our 30 Day Plank Challenge this month to tone up your core and slim down your waist. 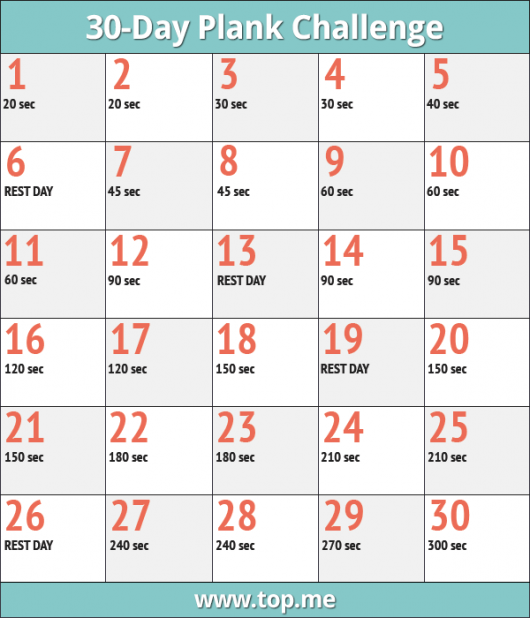 The Plank Challenge only has one exercise to do each day. The time spent doing the exercise slowly increases day by day to help you build up your core strength gradually, ensuring you are able to complete the final day of the challenge. In 30 days, you will build up enough core strength to do a full 3-minute plank! Join the challenge on Facebook and challenge your friends – it’s more fun!